Rick Stattler joined Swann as Director of Printed & Manuscript Americana in October of 2007. Swann's Americana department covers the history of the Americas from 1492 to the present, and Rick has facilitated the successful sale of numerous important collections, including Theodore Roosevelt books, Revolutionary War letters, early Mexican manuscripts, American Indian photographs and many more. 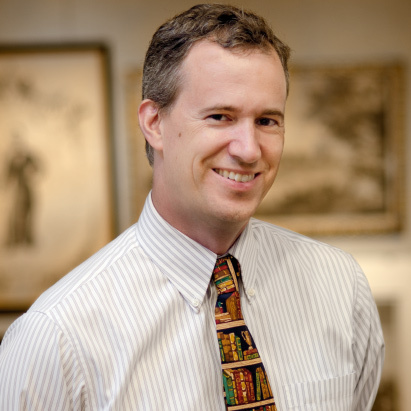 Rick previously spent 15 years in the library world, first as manuscript curator and library director at the Rhode Island Historical Society, and then as an archivist at Harvard’s Houghton Library. During his years in the archives, he catalogued large collections of Civil War letters, women's diaries, textile industry records, slave trade papers, theatrical papers, Quaker records, the papers of English lexicographer Samuel Johnson, and whatever else came across his desk. He is a graduate of Brown University (B.A., 1990) and Rhode Island College (M.A. in History, 1999). Rick has served on the boards of the New England Regional Fellowship Consortium, Rhode Island Labor History Society, New England Archivists, and Young Autism Program Charitable Foundation, and has lectured widely upon the random areas of his expertise (and beyond). In his free time he can be found playing baseball by 1864 rules with the Atlantic Base Ball Club of Brooklyn.